The Bénéteau shipyard, successfully created the Oceanis 523, which is a spacious boat with the ability for varied fittings for a reduced crew as well as for a full crew and aboard this yacht you can enjoy your sailing vacations at the Greek islands for a yacht charter Greece vacation either bareboat or with skipper. 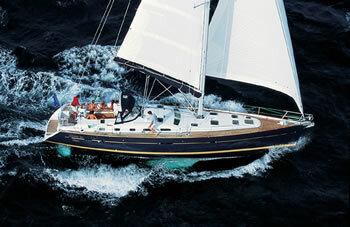 The Beneteau Oceanis 523 was awarded Boat of the Year in USA by Cruising World Magazine for Best Full Size Cruiser. Bénéteau is the European leader in the pleasure boat industry providing yachts that are built to withstand the high demands imposed on them through chartering and the world's most respected name in blue water sailing yachts. We invite you to compare because we are confident that you'll appreciate the superior design, quality, and value of the Oceanis 523 which combines extraordinary interior comfort, volume and light with blue water strength. Designed by the Group Finot, this brand new design offers a unique combination of elegant lines with extraordinary space and performance that offers more comfort related features than ever before built in a boat this size. The well finished wooden furniture are up to the Bénéteau standard. Length overall: 16.20 m 53.1"
Maximum beam: 4.88 m 16' 0"
Draft: 2.30 m 7' 6"
Light displacement: 15 000 kg 32,800 lbs approx. The helmsman’s cockpit is well separated, with the genoa maneuvers at hand. 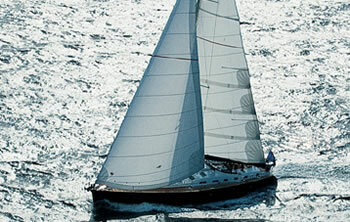 The Oceanis 523 was entirely designed in 3D CAD, some of its moulds have been CNC milled. The boat is built out of fiberglass reinforced polyester, stiffened by an inner molded structure. Tanks are gathered in the centre of the boat, under the cabin floor in order to concentrate the masses and avoid trim variations. The engine is under the companionway, its compartment extend aft to provide space for the generator.